Kenneth Stokes is hotter than the Kansas City Royals right now, having contracted a severe case of Lottery Fever. 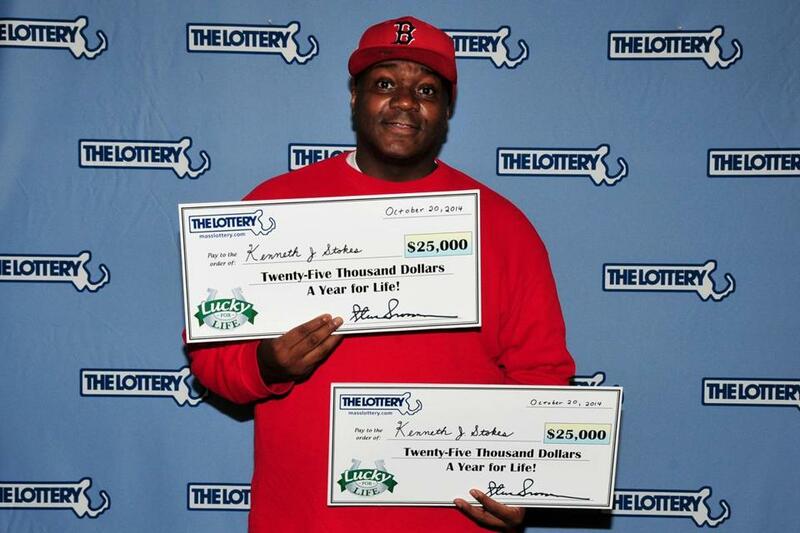 Winning the lottery was twice as nice for a Norwood man who this week hit the jackpot with two Lucky For Life tickets. 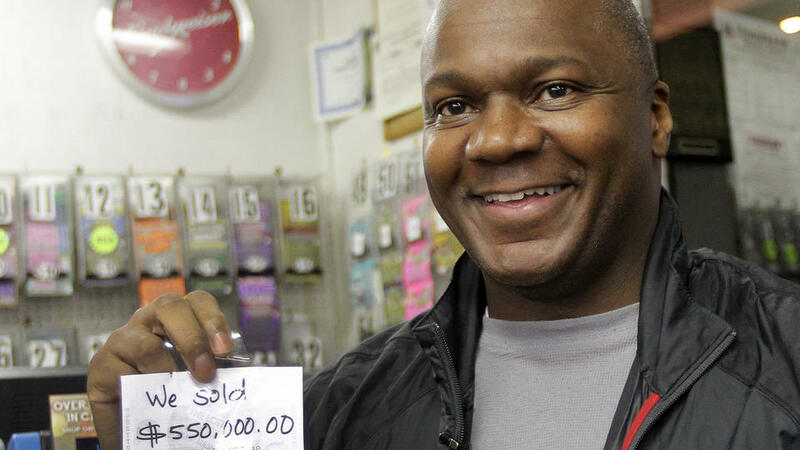 Kenneth J. Stokes was ecstatic when he found out his lottery ticket had the winning numbers. Then he realized, minutes later, that he had another Lucky for Life ticket with the same numbers. Stokes received a call from a Massachusetts State Lottery representative Monday notifying him that his Lucky for Life season ticket had won him a prize of $25,000 a year for life, according to a statement by the lottery. After the call, Stokes remembered that he had another season ticket that his family had bought him — which, as it turned out, had the same lucky numbers, which were based on several family birthdays. 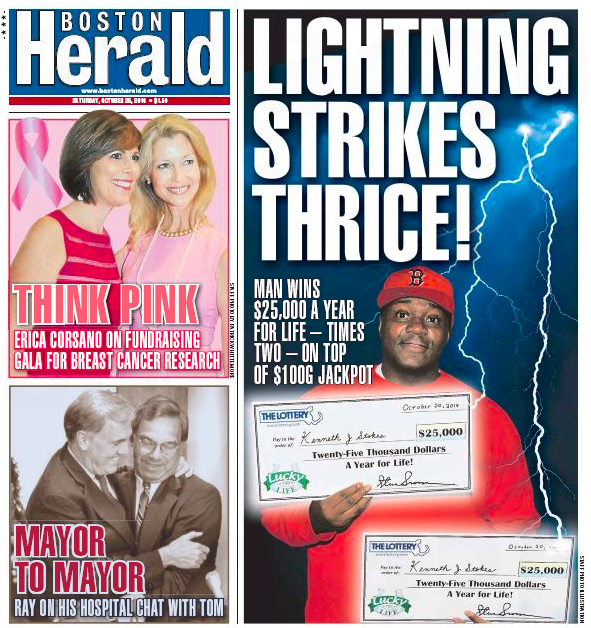 But wait – Stokes got even luckier in the Boston Herald. Lightning has struck thrice for a Norwood man — twice on one day this week, when he scored a combined $550,000 with a pair of winning “Lucky For Life” tickets. “In my whole life, I never had money where I could say I don’t owe anyone anything,” Kenneth Stokes told the Herald last night in front of CFM Variety, the Norwood convenience store where he bought the lucky tickets. It’s the third time Stokes, a Suffolk deputy sheriff, won big. A few years back, an MBTA bus cut him off while he was driving around Watertown. He saw the bus’ number, 0-0-7-1, played it at a local store and drove home with nearly $100,000. Suffolk deputy sheriff, eh? Hey – arrest us. We’ll play our mugshot number. This entry was posted on Saturday, October 25th, 2014 at 11:41 am and is filed under Uncategorized. You can follow any responses to this entry through the RSS 2.0 feed. You can leave a response, or trackback from your own site.